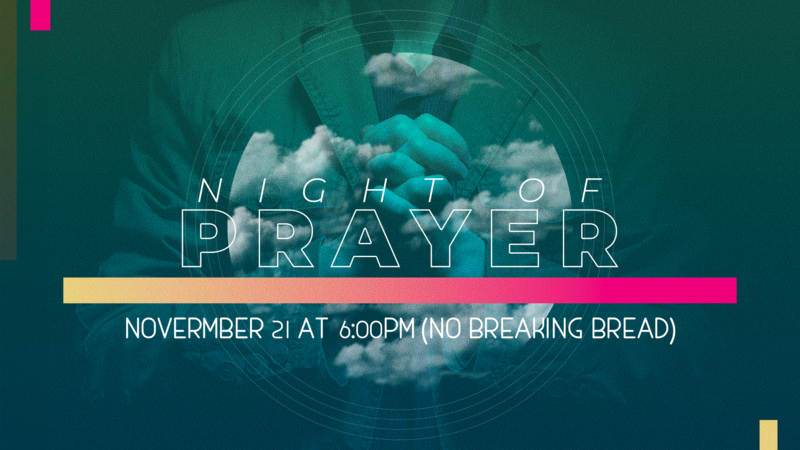 Please join us as we gather to pray together corporately. We will not be having our Breaking Bread service. Thank you and have a blessed holiday with your families.